Chinese manufacturer ACEMAX (exactly ACEMAX Industrial Co., Ltd) introduced a new TV Box called M10 (recently described model M9 Android TV Box – a similar method of marking of device models). This new TV Box is based on the SoC Quad Core Amlogic S812 , which is not an evolution of the popular SoC S802. A team that basically stands by its metal box in the line of some other house team equipped with the SoC S805 includes a small front LED panel. M10 TV Box powered by SoC Amlogic S812 Quad Core 2.0 Ghz top speed and GPU MALI 450MP8, 2GB of RAM, 8GB NAND memory storage, wifi Dual Band (with AP6330 WIFI Module) with external antenna and Bluetooth 4.0. Additionally a pair of USB 2.0, HDMI 1.4a output, SPDIF digital audio connector, output A / V and 10/100 RJ45 ethernet network port. Support 4K2K Ultra HD and H.265/HEVC. XBMC Kodi preinstalled and fully loaded. Of course it will include a remote control IR and Android 4.4 KitKat operating system. 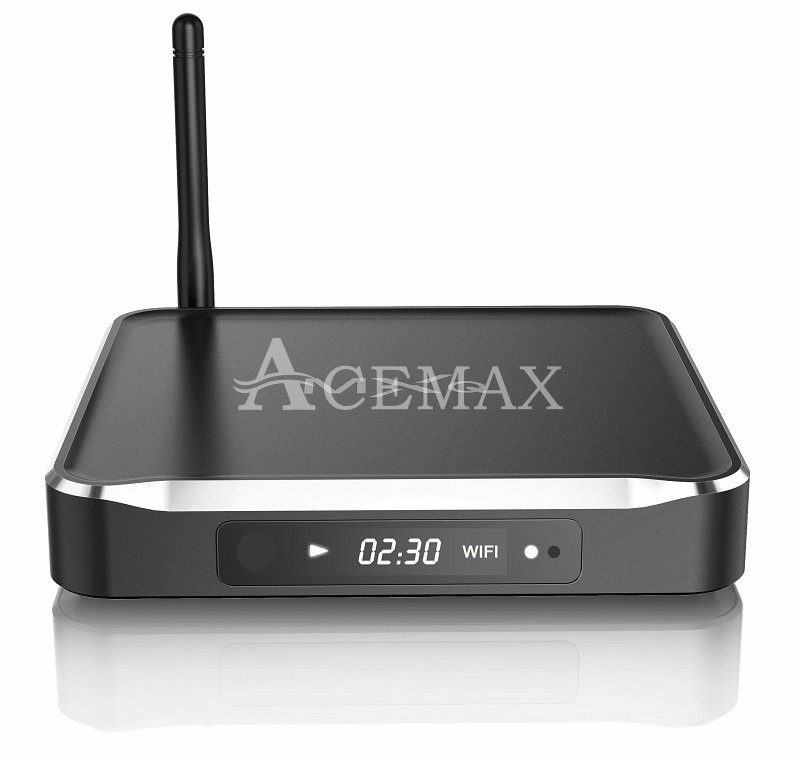 At the moment we have no information about release date and sales prices M10 TV Box from ACEMAX. 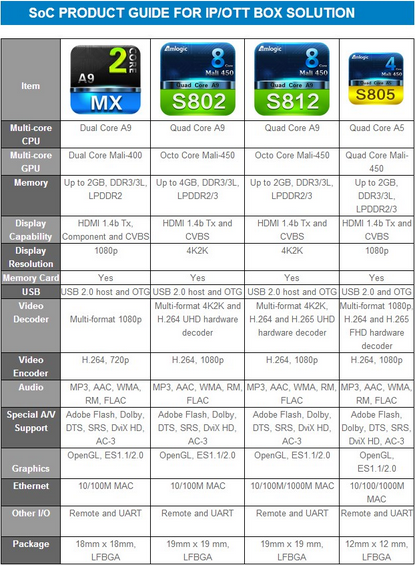 Below comparison of versions SoC Amlogic.